1). 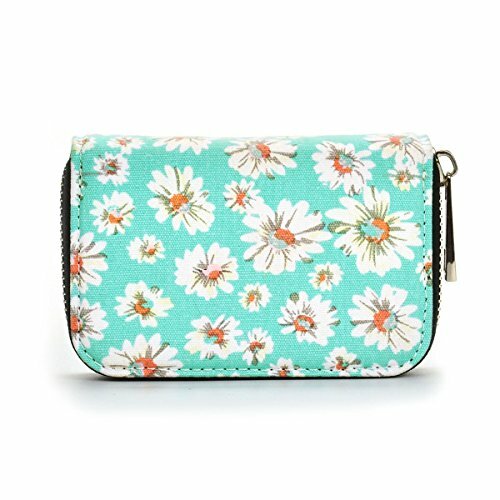 Made of beautiful canvas,handmade, durable and fashion gives you a unique feeling. 2). Measurement: L:4.53", W:2.95" , H:0.59" , 80g(0.17LB). 3). Interior: 10 Card Slots Inside, 2 Large space slot for fold cash and key. 4). 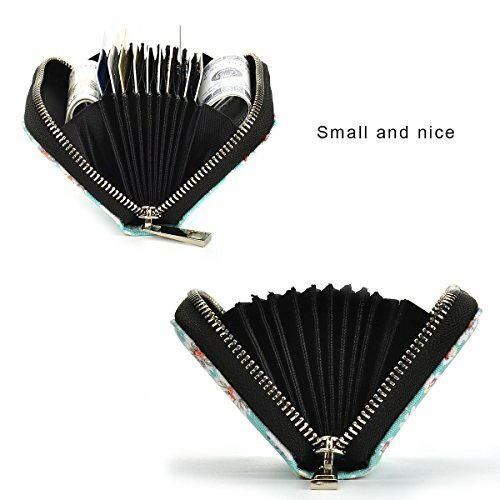 Features: Accordion Style, Zipper Around, Compact Design, Smooth Zipper, Multi Card Slots is a good idea for a gift to friends and family member. 5). RFID Blocking: Block RFID Readers from Scanning Your Credit Cards, Debit Cards, Banking Information, Smart Cards, Driver's Licenses and Other Cards. What is RFID blocking material? It's basically tin foil layered between the material of the wallet that blocks the hacking wireless portable scanners used to withdraw financial info from your wallet,drivers license, credit cards, debit cards etc. These scanners have a chip that is used for transactions wirelessly but few retail stores, buildings and buses use it. Instead criminals are stealing your info more every year committing identity theft according to the FBI. 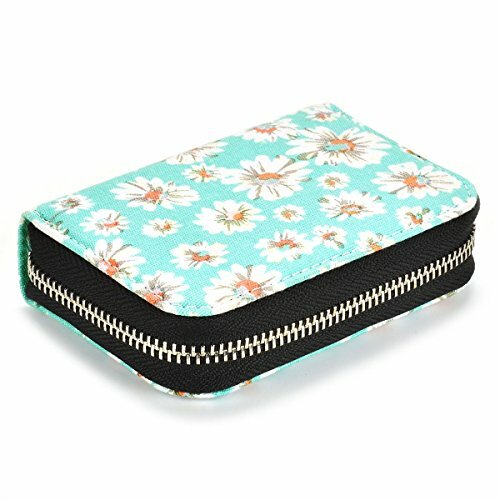 Material: Very nice canvas, metal zipper is very durable. 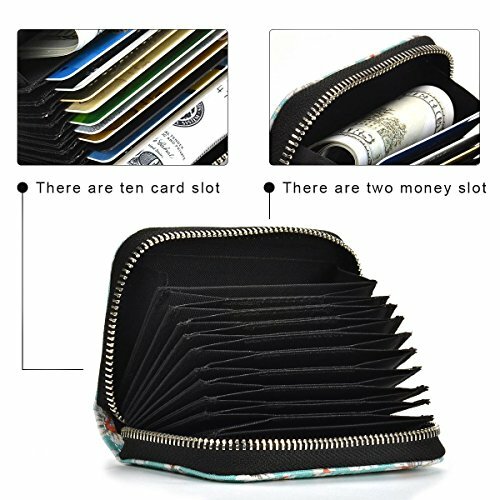 Credit card holder structure: 9 credit card slots, 2 cash slots. 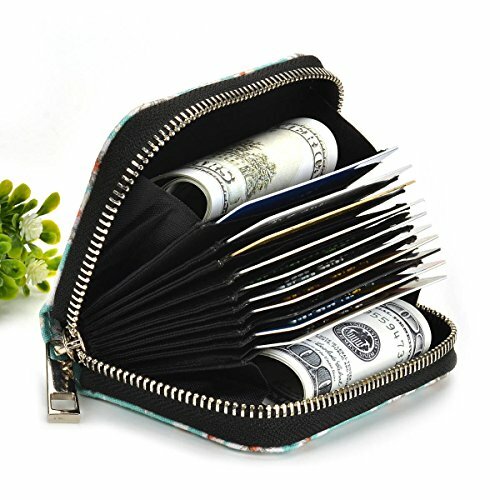 Each can fit 2 or more cards, big currency pocket. Convenient feature for those who travel.RFID Blocking material using both sides of the wallet. Whenever the birthday and friends and relatives of the birthday, you are still tangled to send any gifts? 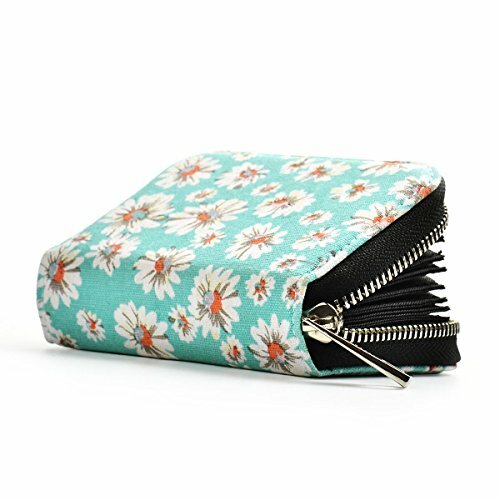 Choosing our wallet will be a good choice because it is not only stylish and very practical, do not hesitate now '' add it to cart '' and get it fast!